In this interview, Albert Saiz talks about the current housing affordability problems in the US, the reasons behind it, the tools to tackle affordability issues, what the future holds, and more. Saiz is the Daniel Rose Associate Professor of Urban Economics and Real Estate at the Massachusetts Institute of Technology (MIT). He also serves as the Director of MIT’s Urban Economics Lab. Hites Ahir: As you know, affordable housing has been dominating the headlines. To start, could you define affordable housing? Albert Saiz: Affordable housing means the provision of a living space that is accessible and of good quality, and that is commensurate to the social and local economic conditions. It also means that the cost of housing should not put an excessive burden on a family’s consumption of other life essentials—such as food, water, electricity, heating, clothing, etc. Hites Ahir: So why has affordable housing become a hot topic? Albert Saiz: I think there are five reasons for this. First, income inequality is rising. House prices are rising, but the earnings of low and middle-income families are not rising at the same pace. Second, construction costs are rising at a faster pace relative to other manufactured consumer goods. So, we have rising construction costs combined with almost flat growth in income. For low and middle-income families, this means rising housing expenditure shares. Third, there are constraints on land available for real estate development. Some of the most popular cities in the US—which have better amenities—happen to be severely constrained in the land available for real estate development. Several of them are in coastal or mountainous regions, which limits their potential for geographic expansion. And in most of them, NIMBY [Not in My Backyard] and anti-growth municipal policies make it very difficult to build new housing at high densities. So, there are less houses for sale in the market at a price affordable to low and middle-income families. Fourth, central cities have again become attractive. In the past, large central cities had become less desirable for the middle class due to suburbanization. This implied that they had become affordable for low-income families. However, this trend has stopped and—in many metropolitan areas, it has reversed. Better amenities combined with other features have made the denser parts of metro areas more attractive to upper-middle class citizens again. The ensuing process of gentrification is making these neighborhoods less affordable. Fifth, there are multiple objectives between the key players in the sector. For example, affordable housing developers and policymakers sometimes have multiple objectives that are not always easy to reconcile. Hites Ahir: You have defined affordable housing and explained why it has become a hot topic. Can you now explain why housing affordability matters? Albert Saiz: Access to good housing, food, and clothing are three essentials of mankind. So, from a humanistic perspective, housing is an absolute priority for policymakers. Also, we have seen, problems related to housing affordability have become an important political issue in many cities in the US. Mayors are feeling the electoral pressure from their constituents to do something to mitigate rising cost of housing. However, state and the federal governments that cater to constituents outside of high housing cost areas, may feel less political pressure or ideological commitment to affordable housing. And yet, ensuring access to housing is necessary for social stability. It is in the best interest for all that the less well-off members of our communities’ lead fulfilling and productive lives. Housing, health, and education are fantastic investments that yield peaceful and cohesive societies. Hites Ahir: Could you now tell us about the main tools to tackle affordable housing? And have they worked? Albert Saiz: Rent control, public housing, Section 8 vouchers, Low-Income Housing Tax Credit Program, and Community Development Corporations and land trusts are the main tools that have been used to tackle affordable housing. Rent control regulations have demonstrated their shortcomings in curtailing incentives to rental supply. They are being abandoned throughout the country. Public housing has been relatively expensive to build and manage. Throughout the US, large and isolated housing projects have been widely perceived as reservoirs for social maladies. Providing good public housing is possible. However, the fact that delivering high-quality housing services in their thousands represents a political risk for Mayors makes it unlikely that this option will experience substantial growth in the short run. Section 8 program vouchers provide thousands of Americans with a check-like payment that can be used toward rental housing. The Section 8 program is effective but increasing the allocation funds for social policy at the federal level will continue to be challenging. Under Low-Income Housing Tax Credit Program, developers raise funds to build and lease affordable rental units by selling federal tax credits to investors. Criticisms have been raised about how effectively the program has increased supply. Some of the subsidies may accrue to developers who would have built the units anyway. The Low-Income Housing Tax Credit Program has also been criticized for disproportionately siting affordable housing buildings in low-income neighborhoods that provide poor access to jobs and social opportunities. Community Development Corporations and land trusts constitute a bottom-up effort from organized citizens to redevelop underused sites and produce housing and business in less-privileged areas. In many US cities, they typically channel a limited amount of public resources—subsidies, land, construction of infrastructure, or zoning allowances—in exchange for the provision of affordable housing in their communities. Given the current lack of political consensus for social housing policy at the federal level, this model is likely to grow. On what the future holds? Hites Ahir: Let’s talk a bit about the future. “Real Trends: The Future of Real Estate in the United States”—is a report that you recently put together with Arianna Salazar of the Massachusetts Institute of Technology. In a nutshell, what is the main message from this report? Albert Saiz: This is a report about the major demographic, economic, social, and technological trends that will have an impact on the US real estate market in the decades to come. So, it is difficult to reduce it to a single message. However, if you insist, I can summarize two main conclusions. First, the current demographic change is having major consequences for the housing market. Second, with a bit of a lag, computers are now starting to change the nature of the real estate industry. Hites Ahir: From the report, what is the good news for affordable housing? Albert Saiz: There are some good news for affordable housing. Let me mention three areas. First, from the construction and design point of view, innovative technologies will have the potential to help produce and distribute quality housing in cheaper ways. For example, the diffusion of affordable housing innovations and policies is increasing. Drawings and designs of low-cost housing typologies can be found online for free. Second, from the policy point of view, the awareness that supply-side policies are important has grown in recent years. This will lead to more consensus and efforts to fight NIMBY. For example, there is a very promising trend of re-using and adapting post-industrial spaces in cities for affordable housing. Third, from the industry point of view, the re-emergence of more socially-oriented entrepreneurs and housing non-profits may spur innovation in the affordable housing arena. For example, the development of contract typologies that have hitherto been less used—such as rent-to-own; mortgages with lower rates where the lender shares in housing appreciation; space sharing and co-living arrangements; rentals of accessory units—may help more families access affordable housing. And socially-oriented crowdfunding platforms may help tap funds for affordable-housing construction. Hites Ahir: And the bad news is? Albert Saiz: The major underlying trends that generate the current affordability problems are likely to continue. For example, income inequality will continue growing, and redistributive policies is not likely to experience a major revival any time soon. And it will take a while for NIMBY pressures to abate in large coastal cities. Hites Ahir: Is there an example of a country that has done better in tackling affordable housing? Albert Saiz: Let me tell you about the case of the Netherlands. In the Netherlands, 75 percent of that nation’s 3 million rental units are provided by nonprofit housing associations. These associations purchase and develop apartments for rent. They compete with investors in the open real estate market. They also compete to provide high-quality services to their customers. These organizations are extremely agile, having to make investment and management decisions to survive in a competitive environment. Because they own the properties they rent, these organizations can deploy intelligent asset disposition and purchase strategies. They can, therefore, plow the gains from capital appreciation of their portfolio back into their social mission. So, I think the role of non-profit, non-governmental organizations could increase in the US. 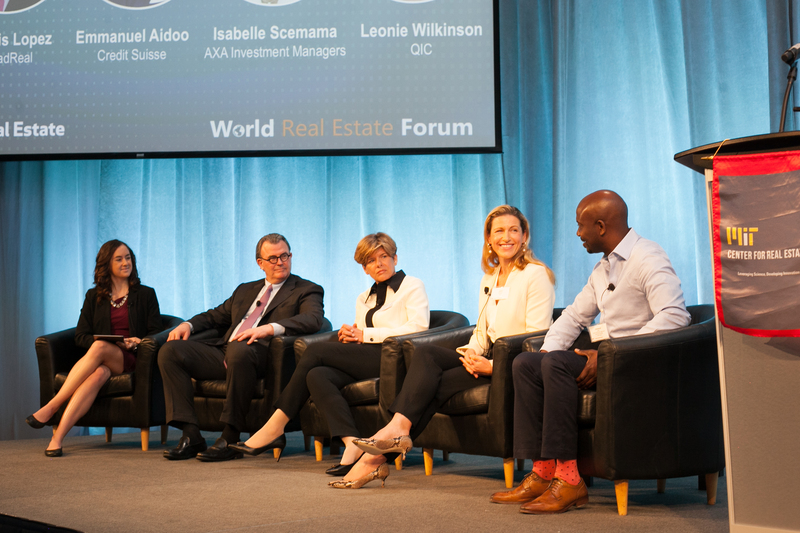 Hites Ahir: For the past three years, you have been organizing the World Real Estate Forum. It is one of the top real estate conference held during the year. What messages are coming out on affordable housing from the entrepreneurs and CEOs that attend this conference? Albert Saiz: I would say they are concerned about the housing affordability trends that we have discussed. Yet, my sense is that there will be a more proactive role from the industry in helping us with the housing affordability challenge in the future. We are already also seeing the reemergence of a new breed of humanistic, socially-conscious real estate entrepreneur—and associated investment vehicles—interested in creating more inclusive, and better communities. Some examples include Magic Johnson—his fund invested in more than 20 American cities, Dan Gilbert in Detroit, Jonathan Rose in greater New York Metro, Bobby Turner in Los Angeles, Patrick Kennedy in San Francisco, David Zucker in Denver, and thousands more throughout the US. Hites Ahir: Let’s talk a bit about the link between technology and affordable housing. What impact will the adoption of autonomous vehicles have on affordable housing? Albert Saiz: According to most economic theories, the impact of reductions in the cost of transportation should have a positive impact on housing affordability—whenever accompanied by good policies. In denser urban areas, autonomous vehicles can facilitate car-sharing, thereby allowing for higher residential densities and more housing supply. We are seeing this trend play out in Miami, due to a reduction in parking requirements. In suburban and exurban locations—where families will still own their own cars—land availability may increase as remote locations now become accessible. This latter trend may actually facilitate the expansion of the American edge city, and its combination of relatively affordable housing but externalized social costs. Therefore, the impact on urban form will be dual: it will help produce denser redevelopment at higher densities, but actually increase sprawl in areas with initial low density. Hites Ahir: In several cities, there are concerns that rents are rising due to short holiday lets through websites and apps. What are your views on the impact of sharing services within the housing market? Albert Saiz: As an economist, I tend to believe that innovations that arise to better satisfy human needs are good. I therefore tend to look at new technologies, and mutually-agreeable contracts—such as those afforded by space-sharing apps—as positive developments in general. I am apprehensive that—in some places—space-sharing apps may be coming to represent an easy-targetable scapegoat for much larger problems. For instance, many of the most touristic areas in popular cities had been already gentrifying—or would have done so—regardless of AirBnB. A number of very selected extremely-attractive cities around the world, are experiencing a genuine trend of people flocking in for their amenities. This trend expresses itself via a number of highly-related phenomena: well-off professionals moving in from other areas; gentrification; proliferation of second residences; more out-of-town real estate investors; a surge in the number of tourists; more visitors in meetings and conferences; growth in the number of short or long-term students; retirees or freelancers—not tied to the local labor markets—moving in; and a higher incidence of short-term space sharing. Note that all of these are symptoms of the same implicit trend—increased demand for the city interacting with relatively fixed supply—rather than the maladies themselves. In fact, some of the cities that are taking action against AirBnB and similar platforms also happen to be cities that have acted aggressively against new real estate development, thereby making the problem worse. Nevertheless, I do believe that there is a need for some regulation. For example, short-term rental apartments or rooms in which noise or disturbances keep happening repeatedly should be shut down. Individuals managing three or more shared-economy full-time rentals should be subject to the same business regulations, and tax regimes that apply to hotels or regular Bed-and-Breakfasts. Cash-flows from shared-economy operations should be taxed at the appropriate rate—perhaps with minimum exemptions—and underreported income should be severely punished. Hites Ahir: What has been the impact of transactional websites or listing data aggregates websites? Albert Saiz: The information revolution brought by the internet has allowed buyers and sellers of real estate to acquire information about millions of properties. Websites such as Realtor.com or Zillow.com aggregate information from regional Multiple Listing Services, facilitating access to information about each property in all markets. The most prodigious aspects of this “transactions revolution” in residential properties have been its speed and ubiquity. Searching for vast numbers of properties on the internet has become the norm. The future will bring further integration of existing and new databases into the search records and statistical analysis of market information in real time. For instance, prospective buyers may be able to see 3D renderings of a home’s interior and, given the history of recorded clicks, obtain forecasts of the probability of an offer being made on a property in the next three days. Hites Ahir: I am sorry to have bombarded with a lot of questions. I have one more. As you know, we are in a period of accelerated technological change. Is there a specific technology/innovation that will be in high demand? Albert Saiz: There are so many of them. I invite your readers to go through our report for an in-depth exposition. However, demographic trends are crystal clear. We will require ways to house our elderly by retrofitting existing homes and urban spaces. We will also need to provide assisted living facilities for those with reduced mobility. The demand for inpatient and outpatient health facilities will not wane anytime soon. Necessity is the mother of invention, so all of these needs will require of new technologies and design applied to the provision of housing and residential services to the growing elderly population.